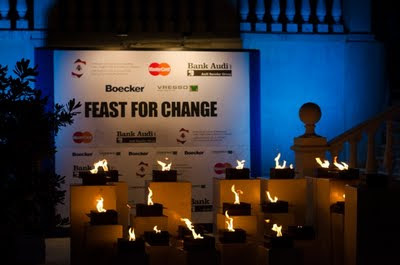 On Wednesday July 13th, a bunch of tweeps and I had the pleasure of attending Feast for Change, the first official food & wine event in Lebanon by the Syndicate of Owners of Restaurants, Cafes, Night-Clubs & Pastries in Lebanon that took place at Sursock Palace Gardens. The event was hosted under the patronage of Lady Sursock Cochrane who will donate a percentage of proceeds to her foundation for protecting natural sites and old buildings in Lebanon APSAD. 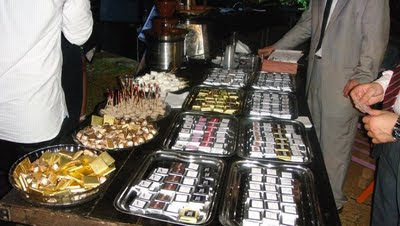 The event featured around forty restaurants and drink vendors including attractions such as a live grill, chocolate fountain, ice-cream cart, cotton candy machine, and many other food and drink stops. The event also featured live performances with singers, opera vocalists and bands that made the event very light-hearted and interesting. 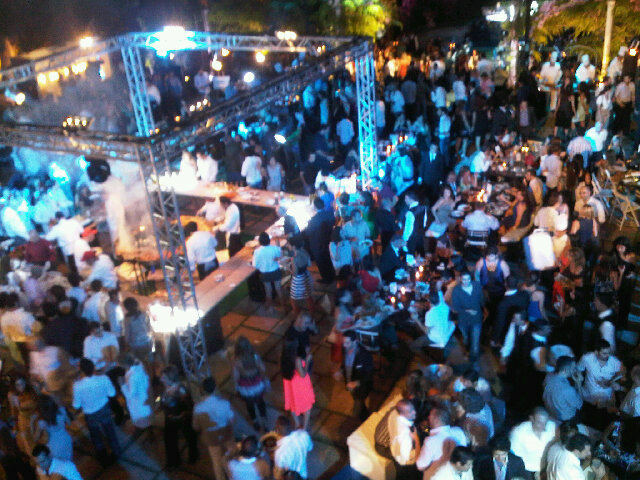 I'm not going to express my admiration to the beauty of the venue, it was simple gorgeous. 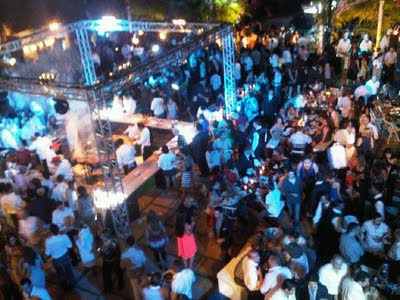 With more that 1400 invitees, the event was highly organized and the food was extremely delicious. My personal favorites were Salmontini, Couqley, and Cro Magnon. 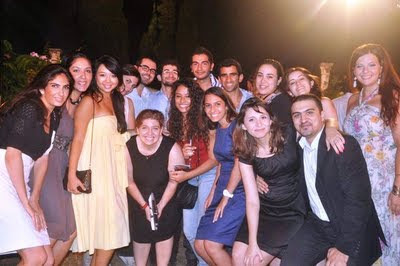 Below are just a few photos from the event.